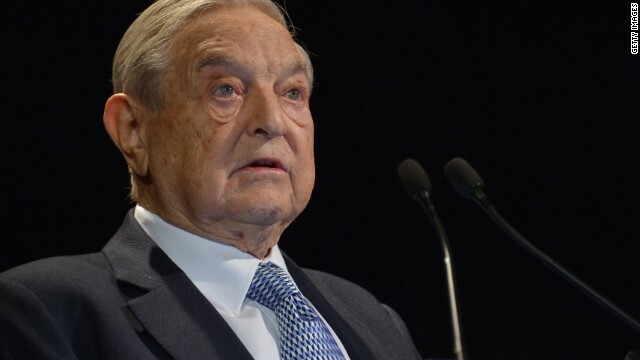 (CNN) - A data analytics company specializing in progressive causes is getting a new round of investment funding, including $2.25 million from liberal billionaire George Soros, the company said Thursday. Catalist maintains a massive database of over 280 million Americans that can be applied to political data analytics, helping successful 2013 campaigns like Bill de Blasio in New York City and Terry McAuliffe in Virginia to better target their messaging person by person. Soros - a lightning rod for conservatives because of his willingness to throw millions of dollars into liberal causes - was an initial investor of Catalist’s in 2006. “Catalist is a vital part of the progressive infrastructure, helping hundreds of organizations better reach, educate, and persuade people,” Soros spokesman Michael Vachon said in a Catalist statement announcing the investment. A member of the McAuliffe camp praised Catalist and its reinvestment in the statement. “Catalist provided data and services that allowed our campaign to target cable TV far more effectively than has ever been previously possible in a gubernatorial race," said McAuliffe Deputy Campaign Manager Michael Halle. Hm, I guess CNN doesn't like to be reminded that they've run 3 Soros pieces in 2 weeks. It's Obama's mentor. The one that loves to destroy countries. Kindly remove me from any database you have, I only made the mistake of voting Democrat once. The message from some commenters is that, it's OK for Soros to track us, he's one of us. No doubt, it's legal, it's done by Google and many others. But it's not something I like. wow!!!! they must have truly awesome gigantic powers like megatron!! have you told the autobots about this?!! No, they have an endless supply of INHERITED $$$ to buy politicians at the expense of the environment, affordable healthcare (or lack thereof if they get their way) and living wages just to mention a few. Really, playing obtuse doesn't become you. "What does Soros get out of it?" wait wait wait...I know...."herpa derpa soshulizmz!!!!" Soros isn't investing millions of dollars in liberal causes. He's investing millions of dollars in Democrats. Huge difference. Soros isn't investing millions of dollars in liberal causes. He's investing millions of dollars in Progressive/Socialist/Communist Democrats. Huge difference. I doubt he is investing in Joe Mnachin or other Blue Dog Democrats. Do you all honestly think that JFK would be caught dead with this criminal? So, a person who escapes the Holocaust, comes to this country and becomes a success story via the old-fashioned way, is now a criminal? Presumably he did not follow the accepted GOP script on how the wealthy should act. No one seems to be talking about the millions we spent on the website.This went to an Obama friend without bids from anyone else. Is CNN reporting this? I very much doubt it.That is why more and more people don't watch them anymore.